The Leather is nice and soft, it will get buttery and more subtle with wear. The leather is available in vibrant colors. Please check select color at time of check out. 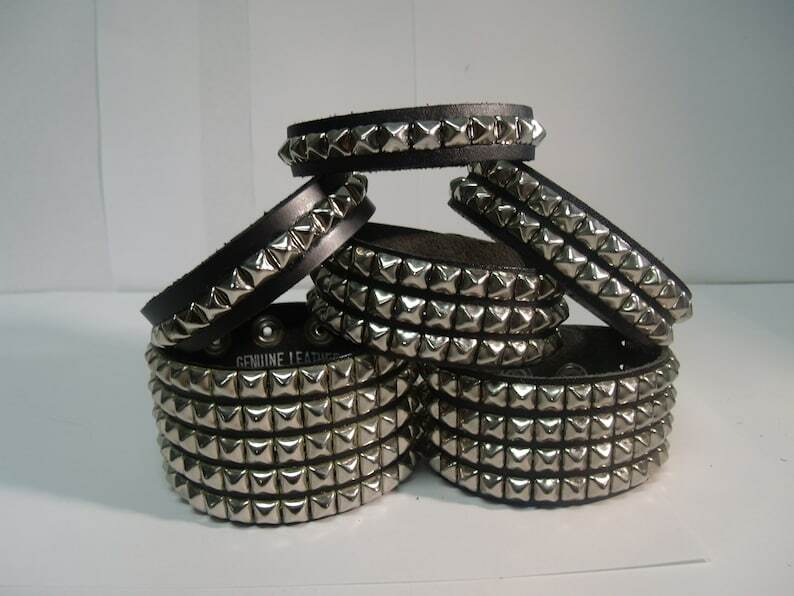 The studs/spikes are large pyramid studs. The pyramids studs measure 1/4" by 1/4" square. The studs are a pyramid shaped.